Valuation is the process of determining the present value of an asset. Valuations are needed for many reasons such as investment analysis and acquisition transactions. This step determines the average pre-money valuation of pre-revenue startups in the region. This may vary according to the targeted startup’s business economy and competitive environment in the region. We recommend using Angellist or Crunchbase database to find the startup valuation data of startups within a region and then you can find the average industry pre-money valuation. For example: Here we take an average pre-money valuation of industry pre-revenue startup in a specific region as $2.1 million. Step 2: Evaluate the target startup keeping in mind other startup deals in the region and considering the following seven important factors. In order to find the percentage weight, we use the following table. Usually, the valuation score rating is assigned in the range of 50% – 150% with 100% for normal requirements to arrive at the weighted average rating of a startup. In this example, we assume the target startup is having a strong management team (120% comparison) with a good market opportunity (105% comparison). Also, with a strong product and technology base (125%) and in an average competitive market (95% comparison). With the need to improve the sales, marketing, and partnership (90% comparison) and maybe the need for an additional investment (95%). Finally, the startup is getting an average feedback and responses about the product (100% comparison). Example: Here we multiply the sum of factors (1.10) by the average pre-money valuation of the target startup ($2.1 million) the results of the survey. Now, we arrive at pre-money valuation of the target startup as ($2.3 million). Berkus Method Valuation Calculator estimates your startup valuation based on the assessment of five key success factors which are also known as value drivers. The above five value drivers determine the pre-money valuation of your startup. You can assign the value between zero ($0) to five hundred thousand ($500,000) in each value drivers category allowing a pre-money valuation of up to $2 million -$2.5 million. The Risk Factor Summation Method or RFS is another pre-money valuation method which also brings some specific risk management and governance consideration into the pre-money valuation of a target startup. Here also we need to find an average industry pre-money valuation of the target startup. Example: Let’s take the pre-money valuation of pre-revenue companies in the region as $2 million. Step 2: Next, we need to consider 12 risk factors associated with the startup and its industry. Ratings to each risk factor is assessed, as follows. Then, the average pre-money valuation of pre-revenue companies in the region is adjusted positively or negatively based on each risk factor ratings. Example: Let’s take an average pre-money valuation of a pre-revenue startup in a region as $2.5 million. In this example, our average industry pre money valuation is taken as $2.5 million and above we got adjustment sum as $250,000. Now we add both these and we get ($2,500,000 + $250,000) the pre-money valuation of the target startup as $2.75 million. Early stage seed investors would always like to invest in a good idea and good team or people. Since the ideas are of little depth, they give more importance to execution. It is also a fact that most Venture Capital firms will prefer to invest in a team who execute and know how to get their product done and introduce same into a market. Seed investment refers to a series of related investments in which 10 or fewer investors “seed” a new venture with anywhere from $50,000 to $2 million. This invested money is mostly used to support the first stage of market analysis and product development. However, if you only have an idea and team then it is better not to look for a rising pre-seed investment (usually $200,000 – $500,000). Rather, get some initial money using your product idea or concept from your close circles. Once you have a product, team and potential clients it is advisable to look for seed investment even if your company has zero revenue. 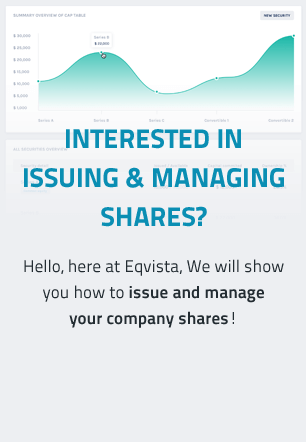 Thus, in effect, we at Eqvsita came up with a simple and logical method which might fit your need if you will be looking for any seed investment. It is very important for your startup to plan a budget for the next 18 months. Your runway is as long as 18 months and you need to make sure that you will receive investment covering this period. For example, our new product in Eqvista has been done within 7 months so we have 11 months to get clients and some market share. Therefore, it is possible to get your product done within 6-7 months. Another important part of the valuation process is how big your team should be. If you know that you will need 6-7 months to launch your product, you need to calculate how much you will require and how many people you may need in your team. In other methods you can value your product and idea where these 2 other elements become part of the investment; Berkus method gives you the opportunity to come up with a sound idea or prototype and these 2 elements become part of the valuation. Scorecard Value Method also counts in the Product/Technology and Size of the Opportunity. In this method you use the rule of 20% where 20% would be the margin if you sell your product. Let us presume that the healthy margin is 20%. So if you work on any project or product and you expect to sell it, your added value should be marked up by 20%. This twenty percent is basically your extra value you bring to your project. Maybe the investor would ask why you use 20%. The simple answer is that we look at this as an expected profit. The previous 2 models are quite subjective but, this model will help you get your feet on the ground once you get challenged. We guess this is a great approach and you can always defend or explain why your valuation is set as it is. There is a good reason. Now the question is, how much equity should you give up? A group of angels/seed will look to get 15-25%. It is a reality that other valuation methods are popular, however, it would be very difficult to defend the numbers if you are asked why you think that your idea is worth $500,000. It is much better to see how much money you need to build up a team including running costs. The 20% margin is also a great way to explain that this is the profit you should expect if you sell that project after 18 months.